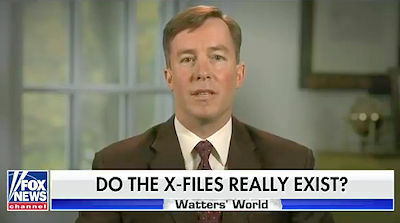 Editor's note: Fox News personality, Jesse Watters interviews the second pilot and eyewitness to come forward recounting the Navy’s UFO encounter which has been at the center of the Secret Pentagon UFO Program. “Cmdr. David Fravor and Lt. Cmdr. Jim Slaight were on a routine training mission 100 miles out into the Pacific when the radio in each of their F/A-18F Super Hornets crackled: An operations officer aboard the U.S.S. Princeton, a Navy cruiser, wanted to know if they were carrying weapons. I know there is a need to control the interviews to manage airtime..so questions and potential responses must be tailored to fit and make it all look like a package. BUT overall the nature of the questions and limits posed on the pilots responses made the interview look like some highschool newspaper interview. Not exactly complex questions and definitely no room for officers to voice their expertise ..the questions almost make it look as if the interview was looking at it like it was all some big prank not to take too serious..